Whether you need a little or a lot of curtain material, The Fabric & Furniture Centre can help. And we promise to give you fast and courteous service and excellent prices! 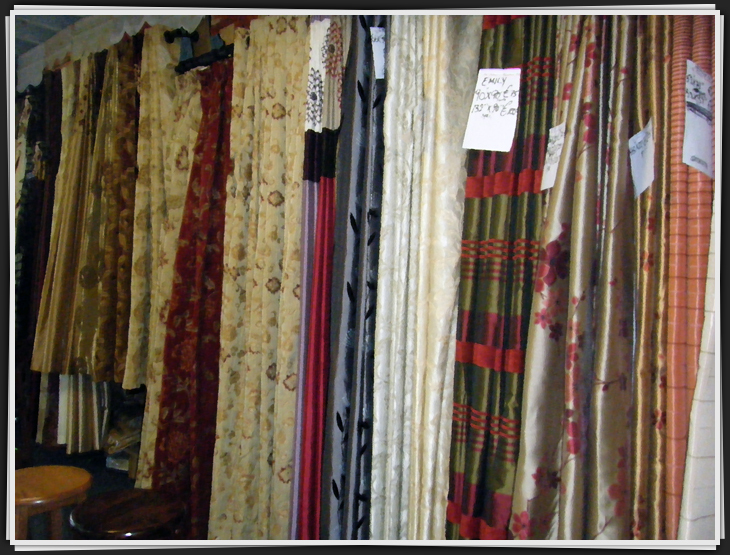 Various Readymade Lined Curtains - all fabrics, sizes, colours, designs, tabtops etc. Curtain Tape, Eyelet Tape, Net Pleat, Rings, Hooks, Rods, Wire etc.